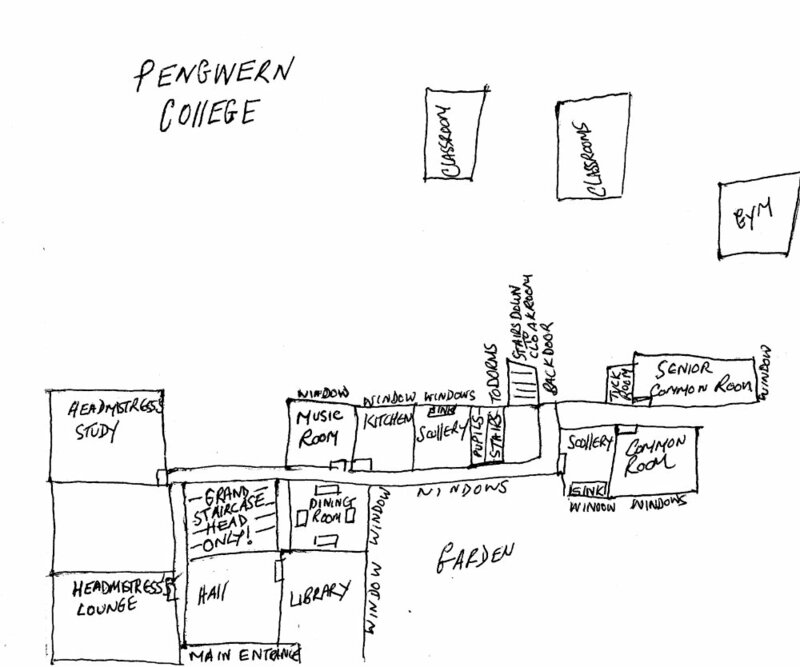 I was 10 when I was sent to Pengwern College. 1944. I remember three things about the dining room there. There was the delicious macaroni cheese, made with processed cheese the Americans sent over. Then there was the awful sago pudding. I was always starving – rationing meant there wasn’t much food. But I couldn’t manage the sago pudding. We got in trouble if we didn’t eat everything. The girl next to me saved me by stacking her empty bowl on top of mine. But my main memory is of the day my new school skirt arrived. I had to take off my old skirt and try on the new one in front of the whole school at dinner – all 60 girls plus teachers. I was wearing some dreadful pink knickers someone had given my mother, which she’d sent on to me. Can you imagine?